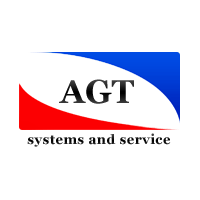 AGR Software LLC is the leading Russian supplier of innovative IT solutions for automated prospecting, surveying and mining. 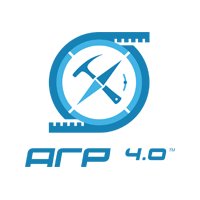 The company is a developer of the AGR 4 information system (www.agr4.ru). AGR Software has been a resident of Skolkovo Innovation Center since 2015. Provide electronic documentation for mine openings in strict compliance with corporate geological standards. Automate the sampling process, introduce the bar coding technology and facilitate fast data exchange with laboratories. Standardize data exchange with drilling and geological contractors. Automatically generate reports pursuant to the requirements of the State Commission on Mineral Reserves (GKZ), and create a digital geological database for geo-mathematical modeling. Ensure structured storage and effective management of geological data within a corporation. * Provide top management with real-time data on mining projects. 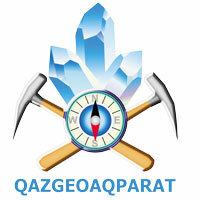 AGR is based on a cutting edge platform for collecting, storing and processing geological data. Custom geological databases and corporate geological data management solutions can be created on its basis on demand. DBC Makina (Turkey) – manufacturer of drilling devices using the core-drill method applied in surface mining and in underground mining. IPI Packers (Australia) – provides a wide range of custom and standart packer-based production for the mining and geotechnical industries. geophysical equipment for hire (magnetic/non-magnetic directional survey tool (inclinometer), drill core orientator (orientation tool/device) ). Schramm: T685WS, T455WS/T455i, T450GT, T450WS, T450BH. We work with leading Canadian manufacturers to provide wireline coring systems (of the following types: AQ, BQ, NQ, HQ, PQ) and diamond rock cutting tools. Almazgeobur realizes complex supply of equipment and tools for well drilling using the method of reverse circulation (RC drilling). We deliver throughout the whole territory of Russian Federation and CIS countries. Thanks to the availability of warehouses in Moscow and Khabarovsk cooperation becomes effective and mutually beneficial. 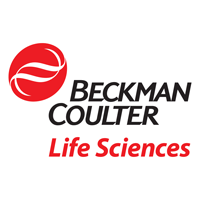 Beckman Coulter Life Sciences is dedicated to developing and providing advanced technologies and equipment for particle size analysis. Our Particle Counting and Characterization products are implemented in all major areas such as chemistry, nanotechnology, mining industry and material sciences to simplify and automate existing processes in the lab. Diamant LLC, established in 2014, is an innovative enterprise. It intends to develop and manufacture competitive and export-oriented solutions for elemental analysis of substances using the tagged neutrons method. The major applications of the technology are the high-tech elemental composition analyzers of ore (AGP-F), targeting to mining and concentrating plants of chemical and metallurgical industry and the separator for the dry enrichment of kimberlite ore, for diamond mining industries. Diamant LLC constructs devices based on the method of tagged neutrons (TNM). The technology enables a remote elemental analysis of large size ore samples both on a conveyor belt or in-field conditions. The fundamental concept of the TNM is object irradiation by fast 14.1 MeV neutrons with the subsequent gamma quanta registration from inelastic scattering reactions. They are unique for every chemical element and allow to measure sought-for content, even shielded by another substance. TNM allows determining the spatial distribution of 24 chemical elements concentration: Na, Mg, C, N, O, F, Al, Si, P, S, Cl, K, Ca, Ti, Cr, Mn, Fe, Ni, Cu, Zn, Zr, Pb, Sn, Bi. A certain possibility to identify other elements is subject to research cooperation. The technology permits performing an express elemental analysis of ore samples up to 10 kilos, with no preliminary sample preparation. Optimal sample characteristics are–weight to 5-10 kg, natural moisture, size up to 100 mm, picked up straight from the quarry. Immediate measuring provides data on the percentage content of the sample components within 10 minutes. It enhances efficiency and delivers a commercial impact through evaluation of materials. 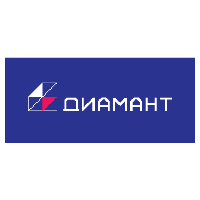 Diamant LLC cooperates successfully with the mining and enrichment plants of Russia such as “Apatite” JSC and “EuroChem” group. The industrial implementation confirmed the validity of the TNM. The potentials of AGP-F to detect correctly the mass concentration of P2О5 revealed a relative accuracy of three percent. Operational geological inspection, quality control services can profit from using AGP-F to measure concentrations of various chemical components in field conditions (quarry, underground mine, past dumps), and at concentrators mills (technical control department). 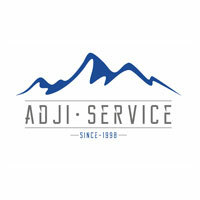 Because of the AGP-F ability to determine a wide range of elements, Diamant LLC can manufacture specific kinds of equipment concerning the customer’s technical specifications. Eastern Drilling Company (EDC) – one of the largest Russian mineral drilling company. 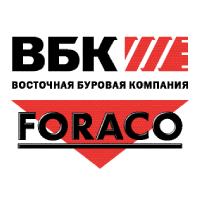 EDC is a subsidiary of FORACO International (3rd largest global mineral driller operating 308 rigs on 5 continents in 23 countries, having 56 years of experience and 2,200+ employees). EDC provides a broad variety of drilling services for mineral resources: diamond drilling, deep directional drilling , reverse circulation, air core drilling, large diameter drilling (up to 30” in diameter for exploration, bulk sampling, ventilation and backfilling holes, etc. ), deep water well and dewatering drilling. “Firma Codogni” Sp.j. Stalowa Wola, Poland Forged Steel Balls for Grinding Mills for Non-Ferrous Metals Mining and Heat & Power Industries with diameters of 60, 80, 90 and 100 mm and surface hardness of 58-63 HRC. The material for the production of balls is obtained in the recovery process from scrap railhead type ST90PA. Since the mid-1990s, our steel balls have been used mainly in processing plants for copper, zinc, lead and rock ore mining, as well as in power plants and cement plants. Since the early 1990s our main domestic customer is KGHM Polska Miedź S.A. 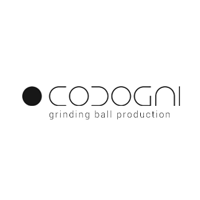 In 1999 we developed our own method of forging balls from the railhead, which allows us to manufacture high quality products at competitive prices. We have been awarded funding from the Regional European Development Fund, which supports activities related to internationalization. 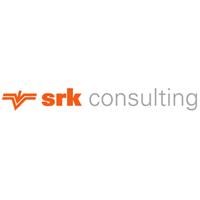 The company provides a full range of geological, geophysical and geochemical research for search of deposits of ore minerals, diamonds, groundwater and hydrocarbons, including drilling and related works, as well as engineering and geological surveys. 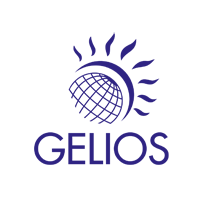 LLC “Gelios” is equipped with modern software and hardware, including by our own production, and has a staff of highly qualified specialists. 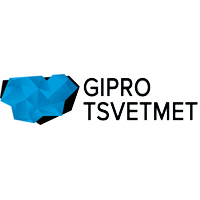 JSC “Giprotsvetmet” is a research project and design institute of mining and metallurgy of non-ferrous metals that was founded in 1929. 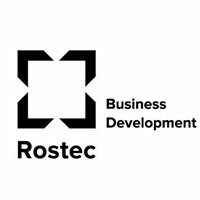 Since 2008 JSC “Giprotsvetmet” is part of branch holding of the State Corporation “ROSTEC”. The institute has implemented a system of operational management of the quality of products and services of the enterprise in accordance with the requirements of the international quality management system and standard ISO 9001-2015, including the functionality of the general contractor. 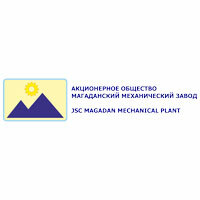 JSC “GIPROTSVETMET” is the leading institute of Scientific and Engineering Centre (SEC), which also includes “TOMS ENGINEERING” and “VIOGEM”. Specializes in the field of reserves calculations and evaluation of mineral deposits, design, construction of mining and metallurgical enterprises, project management in the mining industry, production and supply of the equipment, as well as turn-key projects with the EPC/EPCM format. More than 60 enterprises of non-ferrous metallurgy facilities were built and reconstructed in 28 different countries. 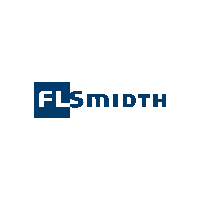 Issued over 21 patents and 600 copyright certificates. Area of activity: production of ore-preparation equipment for gold- and platinum-bearing placer deposits, with productive capacity from 40 to 150 cbm per hour. The main production is flushing equipment for alluvial gold deposits, which can be divided into four types: scrubber, hydro-elevator, based on lamellar screens, based on vibration screens. Philip Morris International (PMI) is one of the leading international tobacco companies, which products are sold in more than 180 countries. The company is building its future on smoke-free products that are a much better choice than continuing to smoke cigarettes. PMI invests heavily in developing innovations that have the potential to reduce the risks associated with smoking. 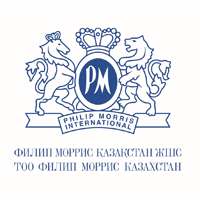 Philip Morris Kazakhstan is a modern tobacco factory with a full production cycle and six regional offices in the largest cities of Kazakhstan. The products undergo regular quality control, based on more than 250 parameters. 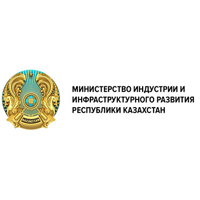 This ensures that cigarettes produced in Kazakhstan meet the highest international standards. 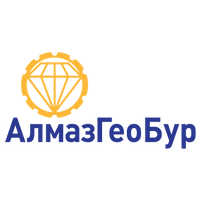 The company is a backbone enterprise in the Almaty region and is among the top 10 largest taxpayers in Kazakhstan. In 2016, one of the reduced-risk products (RRPs)* under the IQOS brand was introduced to the Kazakhstan market. *Reduced-risk products (RRPs) — a term the company uses to refer to products with the potential to reduce the individual risk and population harm compared to smoking cigarettes. 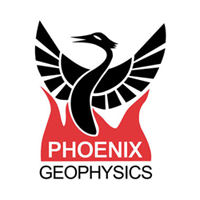 Phoenix Geophysics (Toronto, Canada) has been the world leader in Magnetotellurics (MT) systems since 1980. We manufacture and sell electromagnetic (EM) instruments and also offer complete survey operations. EM can help you cost-effectively explore for oil and gas, mining, underground water, diamonds etc. MT, the most-used EM technique, requires no man-made energy source but enables great depth of exploration, has a small equipment footprint, and is easily deployed. MT complements seismic in poor-seismic areas; provides rapid reconnaissance of new basins where seismic is expensive or difficult; and in some cases, shows direct hydrocarbon indicators. Phoenix equipment is used in more than 80 countries worldwide. 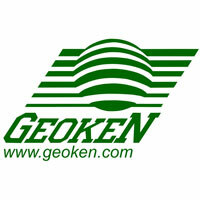 Scientific Production Center GEOKEN – is the leading Kazakhstan geophysical service provider that provides a wide range of geological-geophysical survey services, including onshore, offshore, and airborne surveys, engineering investigations, subsoil monitoring, consulting services and etc. Shandong Humon Smelting Co., LTD is a leading Chinese gold mining and floating company operating on the best integrated and stable devices. The company specializes in the processing and refining of gold-copper, gold-lead, rare-metal and semi-metal concentrates using the latest side and bottom purge systems with oxygen-enriched air. After thirty years of innovative development, the company has established a vertically integrated system, including exploration, search, mining, enrichment, metallurgy, refining, and deep processing. We are also starting to advance in the field of high-purity metals. Currently, during the year we buy various gold, silver, lead, copper concentrates, the volume of which is 1500 thousand tons, including 700 thousand tons of copper concentrates, 200 thousand tons of lead concentrates, 400 thousand tons of gold concentrates, 200 thousand tons of silver concentrates. Also, we produce 50 tons of gold, 600 tons of silver, 250 thousand tons of electrolytic copper, 100 thousand tons of electrolyte lead, 1300 thousand tons of sulfuric acid per year. In addition to this, using our own technologies, we also extract related components from combined resistant concentrates, produce antimony white, bismuth ingot, tellurium ingot, and arsenic. 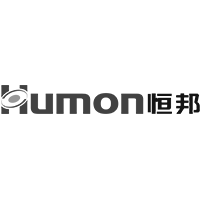 Yantai Humon Chemical Auxiliary Co., LTD - a leading manufacturer specializing in mining chemicals in China, is one of the subsidiaries of the Humon group. The company produces xanthates 50,000 tons per year, dithiophosphates 10,000 tons per year, isopropylethylthionocarbamate 10,000 tons per year, sodium thioglycolate 40000 tons per year, 2 ethyl hexyl thioglycolate 6,000 tons per year, etc. More than 60% of products are exported to Chile, Peru, Australia, New Zealand, South Africa, Southeast Asia and other dozens of countries and regions. Controlling ore loss and dilution is critical for most mining operations. Getting it wrong can result in millions of dollars per year of lost revenue. Case studies show that if ore movement during a blast is not accounted for, up to 25% of a mine’s total recoverable product could end up as waste. 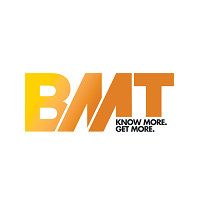 Using the BMT solution, customers will “Know More” on how to maximise mineral resource recovery, hence they will “Get More” revenue from their ore deposits. In fact, the BMM System has become the standard for ore control in some of the world’s largest mining companies. Most companies achieve a positive return on investment in 2 – 3 blasts. 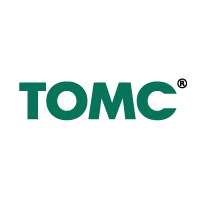 IMC Montan is an independent international mining consultancy. 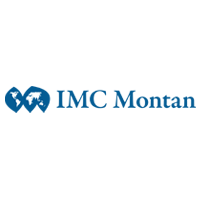 IMC Montan is one of the leading consulting companies in the mining sector of Russia. 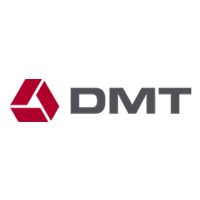 The Group also includes DMT GmbH & Co. (Germany), WYG Plc. (Netherlands). 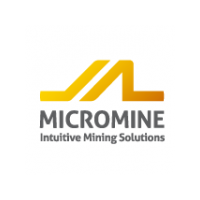 Founded in Western Australia in 1986, MICROMINE is an independent provider of intuitive software solutions to the mining and exploration industry. From capturing, managing, visualising and understanding data to controlling and reporting on mine production, MICROMINE has a solution. MICROMINE is the only provider of solutions relevant to every stage of the mining process. Flexible, reliable and secure, MICROMINE’s Geobank software is the ideal data management solution for the resource industry. Geobank Mobile is a ground-breaking field logging solution that enables geological field data to be collected and manipulated accurately with real-time validation. 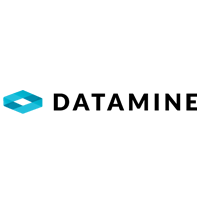 Micromine software is a comprehensive and easy-to-use exploration and mine design solution, which offers integrated tools for modelling, estimation, design, optimisation and scheduling. Pitram is a fleet management and mine control solution that records, manages and processes mine site data in real-time. As a scalable solution, it is suitable for underground and surface mine construction, development and production. 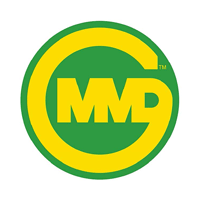 MMD are the innovators of a new product IPSC system (In-Pit Sizing Conveying), which allows the flexibility of a mining shovel to be matched with the cost effectiveness of long distance conveyor haulage. The 9,000 TPH Fully Mobile Sizer Station is a new, cost effective engineering solution, which enables excavating, sizing and conveyor haulage process to take place in unison, along the mine face, advancing as it progresses. Heart of station is mineral sizer MMD 1,500 series out of MMD line up from 500 meeting any requirements with low CAPEX and OPEX. Welcome to Tabletop stand H at MINEX 2019. 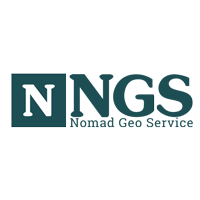 The Kazakhstan Company NGS specializes in execution of geophysical work with the use of actually effective geophysical methods and progressive techniques of data processing, which allow finding of ore-bearing structures and deposits reliably. The company provides services on executing following geophysical work: magnetometry, electrometry, gravimetry, aerogammaspectrometry, as well as computer processing and interpretation of received and historical geophysical data. The development of reasonable recommendations for further work. Top target of the company is providing high quality services which satisfy the international requirements to the work techniques and safety. RPMGlobal is the leader in the digital transformation of mining. 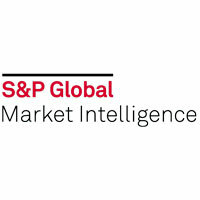 RPMGlobal integrates planning and scheduling, with maintenance and execution, with simulation and costings, on RPM’s Enterprise Planning Framework TM, the mining industry’s only digital platform that enables insight and control across these core processes. RPM‘s Advisory Team advise the global mining industry on their most critical challenges and opportunities, from exploration to mine closure. Their deep domain expertise, combined with their culture of innovation, and global footprint, ensures our mining customers continue to lead. 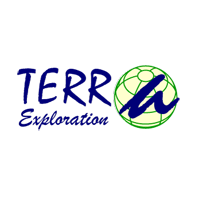 «Terra Exploration» LLP provides services in the information support with Earth remote sensing data (ERS), creating and development geographic information systems (GIS), organizing and systematizing data to solve various tasks in environmental design, ecology, environmental management, geological exploration, topography and cartography. Realization of geodetic engineering survey, land survey projects and reclamation.